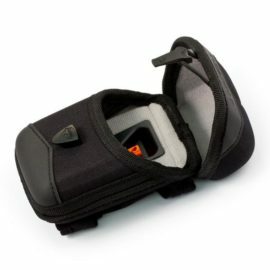 As part of our fleet of formidable products we stock a fantastic selection of small pro cases. These cases have been specifically designed to secure and protect electronic items and devices while also ensuring that they remain readily accessible whenever you need them. They can be attached to belts, clothing or rucksacks depending on the type of attachment you choose. 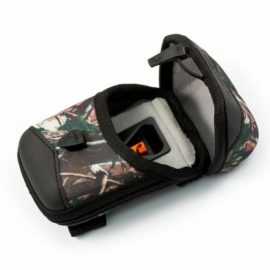 Our small pro cases have a high-quality and rigid thermoformed body for outstanding durability and protection. This is wrapped in a 600-denier nylon cover which allows them to withstand extreme weather and be water resistant. What makes our small pro cases stand out from a crowded market? 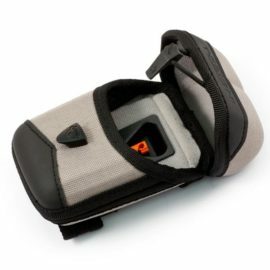 Well, our cases include a Kevlar cord to attach to your most valuable cameras hand-held tools and smartphones. This cord allows you to retract and secure your devices in place with minimal fuss when not in use and makes it seamless to access them without noise and in smooth fashion. Another way that these exceptional designs are above their competition is due to a patent-pending design that allows owners to retrieve and put back their possessions using just one hand. This will be music to the ears to hikers, bird watchers, nature photographers and to other outdoor hobbyists that carry other gear at the same time. 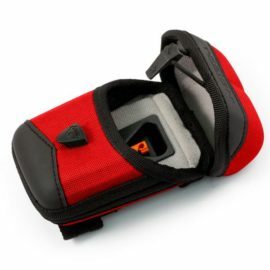 Take a look at our small pro cases that come available in different colours and patterns and even in other sizes. There are plenty of options to choose from!